During the summer of 2016, during the 100thyear Anniversary, the band made its third consecutive trip over to Scotland to compete in 3A. The band qualified with two firsts, a second and eleventh from one judge. 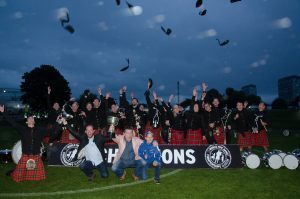 In the final, playing the MSR, the band earned two firsts in piping, a first in drumming and second in ensemble and was subsequently crowned 2016 World Champion in Grade 3A. At the annual meeting, the Royal Pipe Band Association upgraded the band to Grade 2. Summer of 2018 found the band traveling out of the country for three competitions for the second time in Grade 2; The UK Championships held at the Stormont estate in Belfast, Northern Ireland on Saturday, June 16th,the North American championships in Maxville, Ontario, Canadaand The World Championships (Worlds) held in Glasgow, Scotland on Saturday, August 18th. 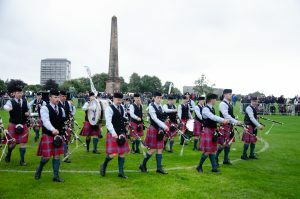 The first of our 3 international competitions began with the North American Championships in which seven bands competed. Worcester placed second overall which proved to be a great start in preparation for in preparation for the next two. 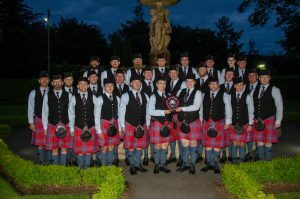 Worcester Kiltie was the first US band to ever compete in the United Kingdom Championships in Northern Ireland and placed 3rdin the Grade 2 competition. 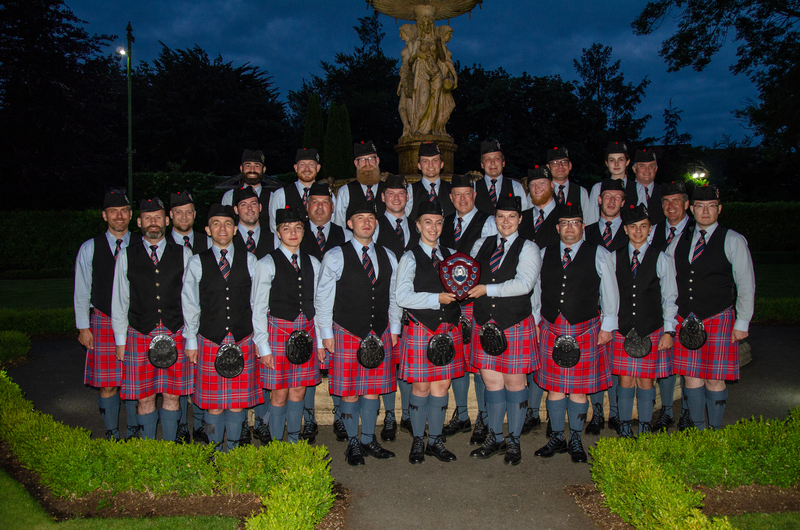 WKPB after the United Kingdom Championships in Ireland on June 16, 2018. 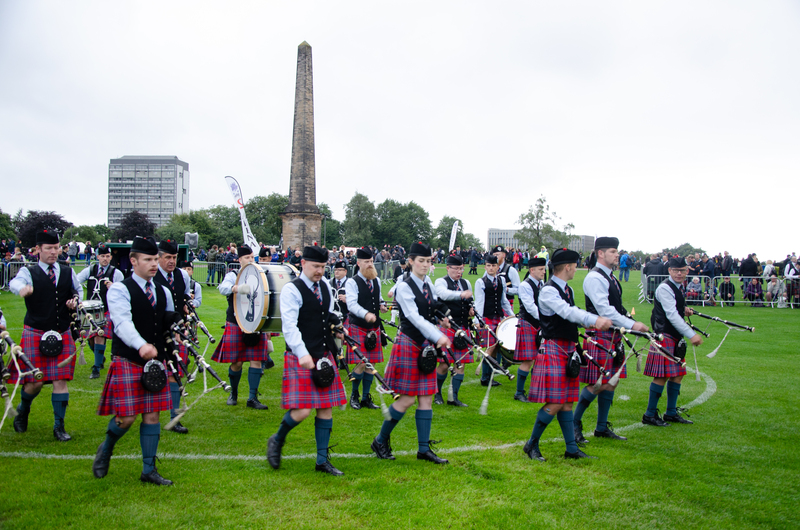 TheWorlds fielded 24 Grade 2 bands with two qualifying rounds. The band placed second in their qualifier, twelve bands played again in the finals in which the band placed fifth.